Celebrate an incredible wife and mother! 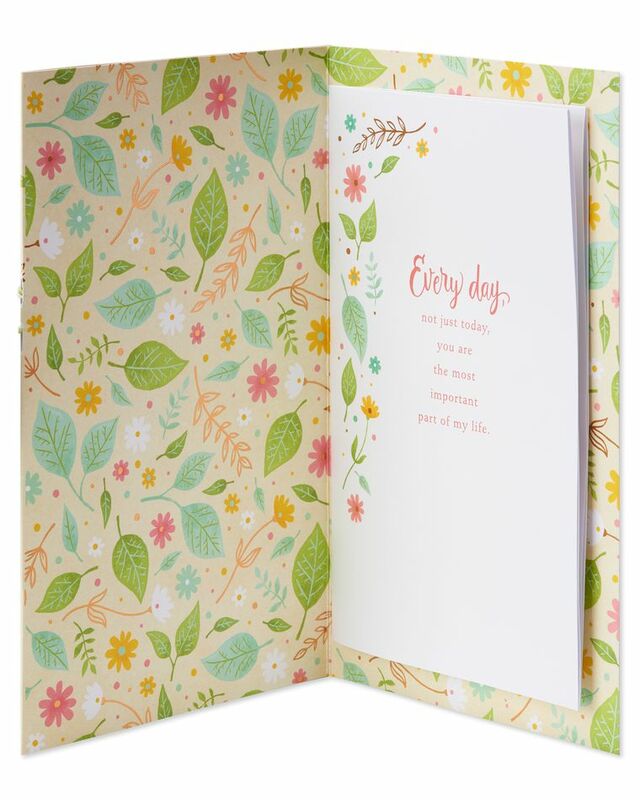 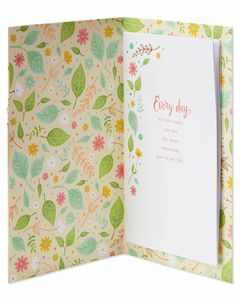 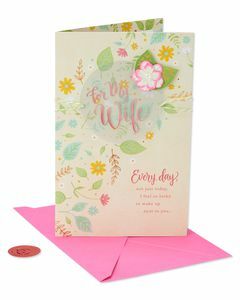 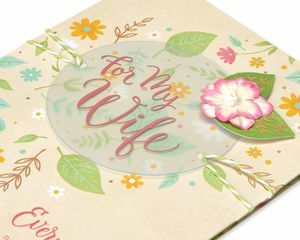 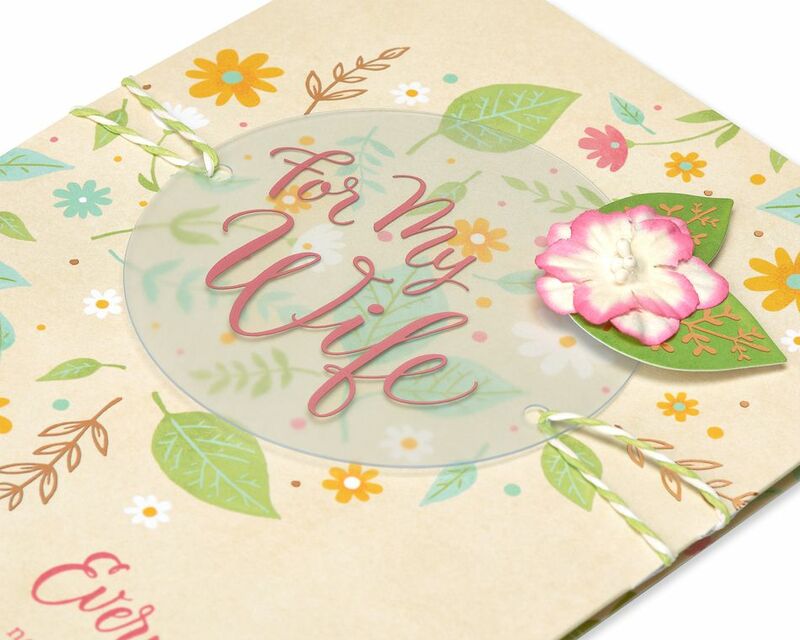 This beautiful Wife Mother’s Day greeting card by American Greetings Premier features dimensional vellum, paper and string attachments in a bright and colorful floral design embellished with shimmering foil. 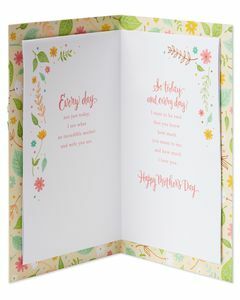 An insert with three pages of warm verse and foil accents makes it even more special. This premium card package includes the card, an envelope with a designed interior and flap, and a red embossed foil seal, all wrapped in a protective cellophane sleeve. 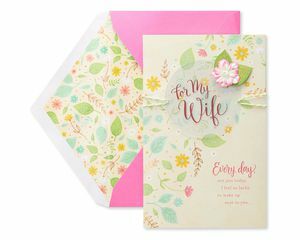 It’s sure to make her feel loved and appreciated!